Children are spending less time moving and more time sitting! This type of sedentary behaviour has a significant impact on the long term health of young people. Engaging parents and families to ensure children are taking part in active play, to develop their physical literacy, is vital if we want to flip the increasing trend of children using digital devices instead of moving around. The childhood obesity plan is the government's response to the challenge of growing inactivity and physical wellbeing in young people. The guidelines of the plan detail the responsibility of schools to not only ensure 30 active minutes each day for every child in school, but their responsibility to proactively encourage parental engagement to achieve 30 active minutes outside of the timetabled school day. 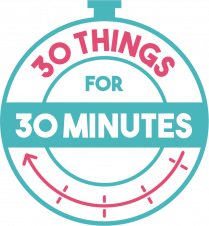 30:30 is a document developed by North Yorkshire Sport to help teachers, help pupils, reach their 30 daily active minutes and influence and encourage families to engage in 30 active minutes outside of the school day. We have also put together a pupil friendly poster for them to take control of their own physical activity. Please find it below. 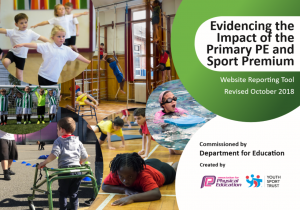 Schools which can demonstrate great impact of the PE and School Sports Premium Funding on their pupil's engagement in physical activity or health improvement of all pupils are encouraged to apply for the awards. The Active Lives survey is a way of measuring sport and activity across England. Schools across North Yorkshire are randomly selected to take part in the survey or alternatively schools can sign up voluntarily. For further information visit our Active Lives web page.